If you haven’t already heard about Bone Broth WHERE HAVE YOU BEEN!? Made in most with the connective tissues and bones from animals, one could be forgiven for feeling a little squeamish at the thought. However, for everyday carnivores (meat eaters), it’s really no different to what you already eat, just prepared and served a little differently. Bone Broth is generally made from chicken, fish, and cattle in general, they get boiled into a broth and are left with herbs, spices, and veggies for anything from between 10-20 hours. So, know you know WHAT Bone Broth is, why would you want to consume this? There are more than 30 different reported health benefits linked wit the consumption of bone broth. In this post, I am going to explain the top ten body benefits the are linked to eating bone broth, many of which have been tried and tested and have worked their wonders for many years or many people. There are a range of essential minerals and properties such as cysteine, glutamine, arginine and amino acids that all work to improve your immune system. There are many studies that have been proven to reduce inflammation in the body and specifically in the gut. If you’ve ever heard the saying that chicken soup soothes the soul and is frequently used to solve the simple cold then this is one particular reason that it is so effective at reducing the signs and symptoms of cold. Bone broth contains all the essential minerals and vitamins that are needed to boost bone health. This not only helps with the core bones in the body, but it can also help to strengthen teeth and nails. Bone broth contains l-glutamine which is a type of amino acid which is essential for the good health of the body. Additionally, there have been countless studies which have proven that people who are overweight have more of a specific type of bacteria in their digestive tract. This bacteria is called Firmicutes. The more of this you have in your body, the more calories you extract from food. Bone both lessens the amount of Firmicutes in the gut and can therefore help you to lose weight as you extract fewer calories from the food you consume. Studies have also proven that consuming soup lessens your calorific requirements from any following meal. This of course applies to all soups. However, it is an added benefit of eating bone broth as well. Muscle protein synthesis is stimulated through the inclusion of amino acids. This is vital for the continued growth, maintenance, and repair of muscles. There have been many studies that have proven that this process of muscle protein synthesis is stimulated when a person ingests amino acids. When bone broth is formulated with vegetables, it contains both electrolytes and carbohydrates. Liquids such as these actually work more effectively than water with regard to restoring your capacity for exercise which might have been lost from the depletion of electrolytes or from dehydration. The bacteria within your gut can significantly impact upon your mood and your diet is intrinsically linked with your gut. When you have a healthy gut, signals are transmitted to the brain. Similarly, when your gut is unhealthy, it can cause anxiety. There are many ongoing investigations that have linked gut health to depression and stress-related conditions. 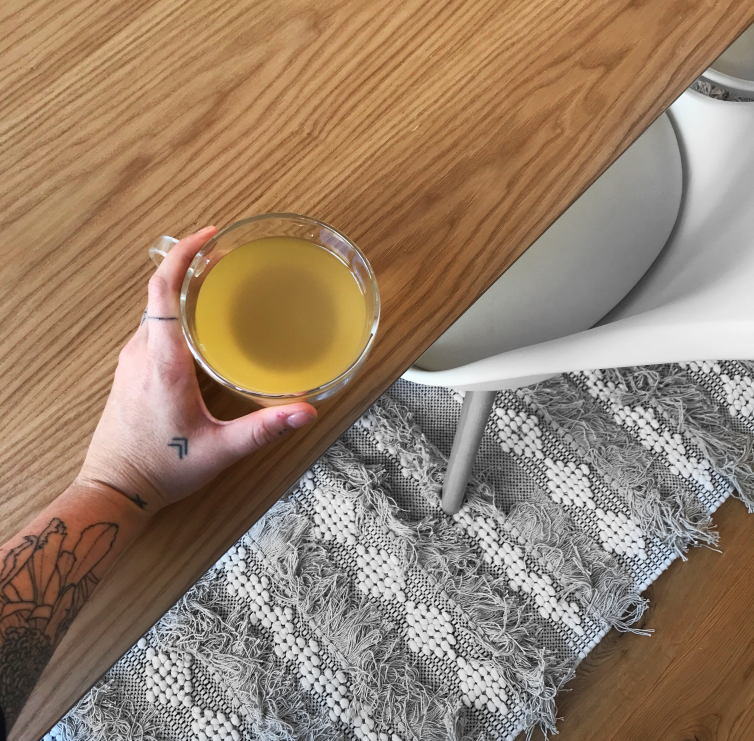 If you are looking to improve your body’s hydration, during and outside of exercise, the regular consumption on bone broth can actually help you to stay hydrated for longer. When made with vegetables, it provides your body with a solid source of electrolytes and carbohydrates, both of which are essential for hydration. Studies have shown that it is more effective than water for preventing dehydration due to the inclusion of electrolytes. Many of the ingredients contained within bone broth are classified as gelatine-rich foods; these specific foods are also the subject of major ongoing research that is proving that the inclusion of such foods in a diet can help to cure inflammatory and degenerative diseases. As we get older, cartilage within the body slowly degrades. During the very long simmering process, collagen is released from the animal parts into the broth, the consumption of which then helps to restore that cartilage. Bone broth is actually now considered to be one of the foremost detox agents, helping your digestive system to rid itself of waste, and it helps the liver to remove toxins while retaining the integrity of the tissues. Bone broth also helps your body to use its antioxidants more effectively. The further inclusion of two other key minerals which deliver sulphur to the body and in doing so, reduce oxidative stress. As I mentioned at the start of this post, there are more than 30 individual benefits associated with bone broth, with more time and more research, who knows how many more will surface over the coming years. With 20 different types of essential acids that are super-easy for your body to absorb, powerful elements such as gelatine and collagen, along with a range of nutrients that enhance immunity, the functioning of the digestive system and boost brain health; it’s no wonder that more and more people are adding bone broth into their daily health rituals. It is low in calories, rich in minerals, and benefits almost every part of your body.